There are thousands of vehicle rental companies but this category is devoted to those who rent antique, vintage, classic and other specialty cars. Whether you are looking for a nostalgic ride in a car from times past or an exotic car that represents the future this is where we will list it. The following companies will rent brass, antique, vintage and classic cars, hot rods and/or muscle cars. 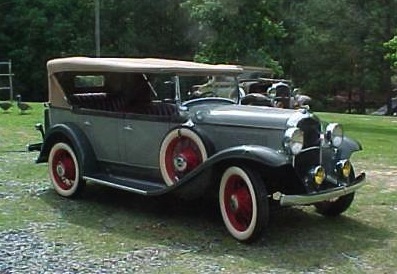 If you have a concern or comment about a listing please contact our webmaster@antiquecar.com. http://www.classic-vintage-car-rental.com/: Classic Vintage Car Rental rents out classic vehicles in Scotland. Their goal is to give you a true feeling of the nostalgia of cruising around Scotland in a vintage automobile from times past and they offer everything from MGs and Jaguars to motorcycles with sidecars. Their site also lists local accommodations and other tourist information. http://www.classicmotoring.co.uk/: Classic Motoring is a classic car rental agency located in the Cotswolds, United Kingdom. They only rent classic Jaguars and focus is weddings and other special events. They also offer tourist information about places to go and hotel recommendations.